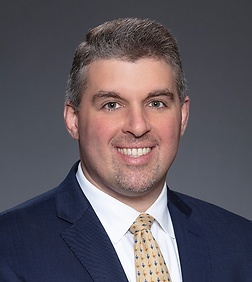 Steven P. Braccini is a partner in the Business Trial Practice Group in the firm's Silicon Valley office. Steve also has an appellate practice and has presented numerous seminars and workshops on issues related to trust and estate litigation. During a jury trial, obtained a judgment of nonsuit in favor of his client, the trustee of a family trust, who was accused of engaging in financial elder abuse causing damages in excess of $50 million. Obtained a judgment cancelling a 98‑year lease on behalf of his clients following a two-week bench trial. Obtained judgment in favor of client involving a dispute over who was the intended beneficiary of an ambiguous residuary clause in a Trust, valued in excess of $5 million, following a multiple-day bench trial. Obtained summary judgment, which was later affirmed on appeal, on behalf of clients in a case involving the voiding of a marriage after death. In an action spanning two different counties and seven petitions, obtained a very favorable “global settlement” increasing his client’s share in a $24 million apartment complex by $3 million while simultaneously extricating client from all potential liability.